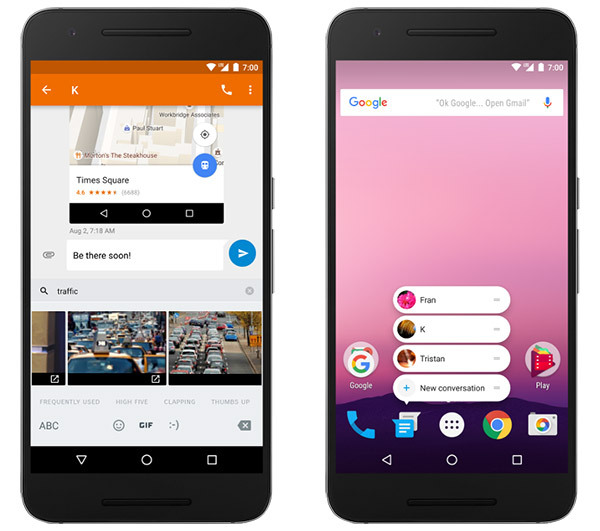 Final version of Android 7.1.1 Nougat download is now in the process of rolling out to Nexus and Pixel devices globally for users with compatible devices. The official final release of the Nougat 7.1.1 build follows hot on the heels of a very short-lived developer preview, and brings some features to more devices that have been previously available on the Pixel range only since its launch in October. If you are in ownership of a Pixel or Pixel XL, then you’re also in line to receive some additional goodies in the form new Moves, as well as the obligatory bug fixes and enhancements. Since version 7.1 of the platform has been available on Pixel for a couple of months, with both general public and developers having access to it, many apps and services are already up to date to support the latest 7.1.x platform, including support for the latest features introduced in it, like app shortcuts (Apple’s 3D Touch Quick Actions-like feature for Android), GIF support in stock keyboard for apps like Hangouts and Messenger, and more. Additionally, Android 7.1.1 also brings with it new emoji characters, better and more enhanced support for live wallpapers for those who like to bring a dynamic experience to their device, as well as Daydream VR experience. In addition to offering a slew of new features and improvements, this latest Android rollout also comes pre-packed with the December security patch, which in itself offers patches for more than 40 vulnerabilities that range from being moderate all the way through to severe. That in itself is a good enough reason to upgrade if it’s being offered for your device. If that’s not enough of an enticement, Android 7.1.1 on Pixel and Pixel XL also brings two new Moves that enables a device owner to double-tap to check phone or lift to check phone, similar to Apple’s Raise to Wake feature that bundles as part of iOS 10. Accompanying notes from a number of carriers, such as Verizon, suggests that a number of known issues have also been fixed with this release, such as several camera issues that have been bugging Pixel owners since launch. Maybe, but WiFi will work after installing it.